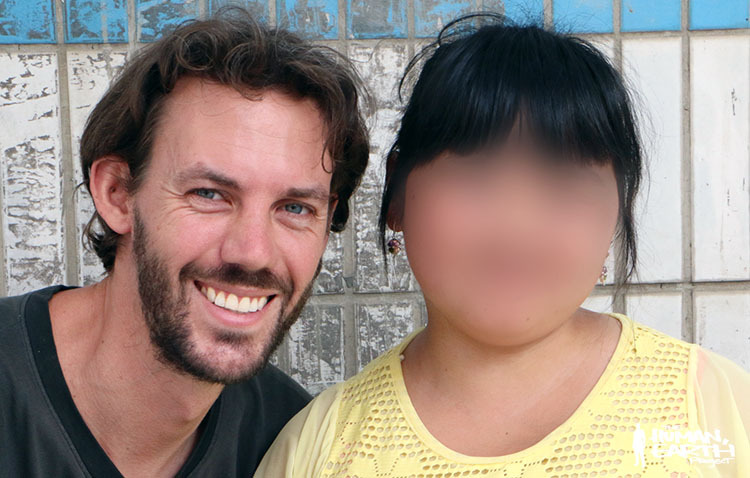 My Hmong friend P – trafficked from Vietnam, sold into China, and escaped from the man who bought her – had vanished entirely. After three years and eight months held against her will, P had fled more than 1,500 km (almost a thousand miles) frightened and alone across a foreign country. Having come within a stone’s throw of the border and her mountain home beyond, she had simply disappeared. All we had worked towards had fallen apart. It was the third day since I had spoken to her – she could no longer be contacted and, in a region plagued by traffickers, it seemed almost certain that she had been taken once more. (See the full story here). Last Thursday morning, I took a print of P’s last photograph to give her mother – together with the terrible news of her daughter’s second disappearance, at a moment when hope had been closer than ever. A 46-year old widow with bright eyes and a delightfully warm smile, I knew the news would break P’s mother’s heart. I had already tried speaking to her on the phone, but we were unable to understand one another. P’s mother speaks little English, and I speak no Hmong at all. 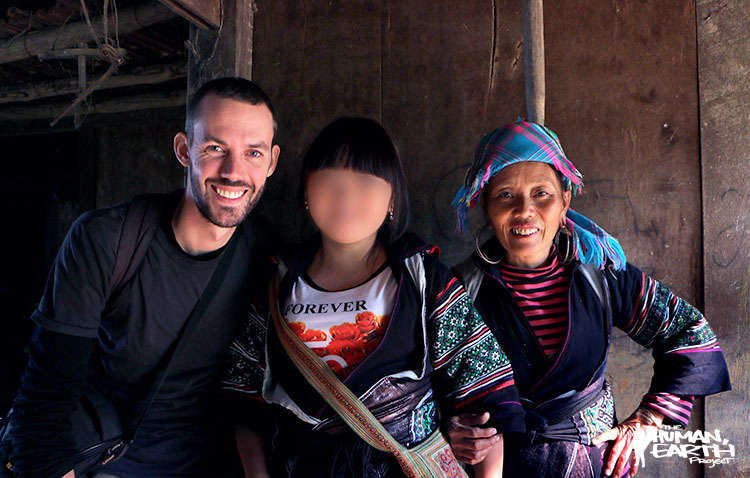 In search of an interpreter, I had visited the homes of several Hmong friends and found them all empty. In the town market I found M’s eldest sister who immediately offered to help me find P’s mother, and together we rode out to P’s village. P’s mother lives in a simple wooden home high on the terraced hillside – but she was not there, and would not answer her phone. We were told she was at a wedding in another part of the village. As we cut along a dirt path between stands of bamboo, we were surprised to see P’s mother come rushing headlong towards us. P’s mother had some news of her own, and hers was far more exciting. A few minutes earlier, for the first time in a week, P had called. 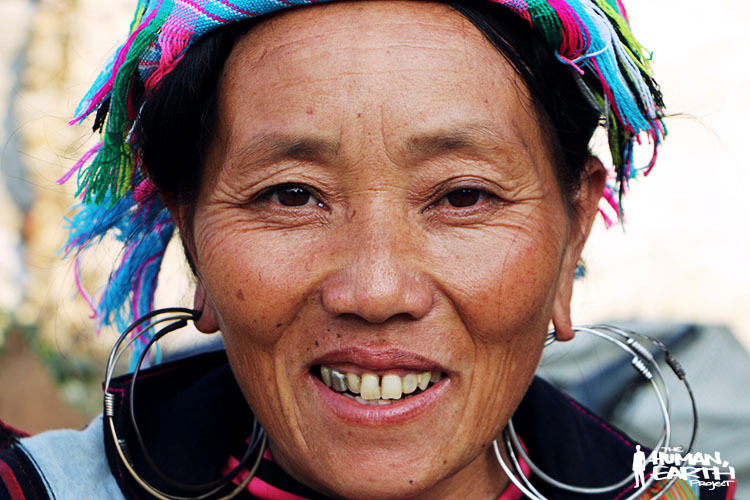 She was alone at an obscure Chinese border crossing somewhere across the mountains, and needed someone to bring her home. P’s mother had no motorcycle, and didn’t know how to ride. Her only son was away in the mountains for a week or more, and she didn’t know what to do. She was simply overwhelmed. Until that moment, P’s mother had still believed that P was far beyond her reach in the home of her Chinese “husband”, as she had been for years. It was one hundred and forty kilometres on twisting mountain roads – a three-hour ride, at the very least. We’d need a second bike to carry P home, and a driver who knew the way. A friend of the family volunteered, a middle-aged man named Ling. We paused in town to drop off M’s sister, refuel the bikes, and collect some warm clothes. P’s mother rode with Ling; P would come with me. There was no hope of returning the same day – we hoped only to find P before sundown. We didn’t know if or when the border crossing would close, and there was no time to find out. As we were leaving town, P called again. She was on the move, and gave her mother a new rendezvous at a closer and more prominent border crossing. With no one to interpret what P’s mother was saying, there was no way for me to understand why or how P was relocating, or even which country she was in. We simply switched direction. We were already pouring through the turns when Ling pulled off the road, and P’s mother was answering her phone again. Go back, said P. Wait for me in town. It was mid-afternoon. P was going to try to cross the border and come all the way back to town by herself. We turned back, and sat by the side of the road in town while the sun slid down the sky and sank into the mountains. After an hour had passed, P’s mother tried to call her daughter again, and there was no response. There was no way of knowing where she was, or who she was with, and all possibilities were still open. A second hour crawled by, and a third. Darkness fell, and the phone rang again: P had arrived. There she was, on the steps by the square, wearing a new red dress, shivering in the cold and fighting back tears. Her ordeal had ended in the same place it had begun, and in the same manner – with a ride on the back of a strange man’s motorcycle. I’d been shocked at all the changes to this town over the past six months, and can’t imagine how it must have appeared to P, after such a long absence. She climbed on the back of my motorbike and, as we rode out to her village, recounted the incredible events of the past week – her escape, her journey, her disappearance at the border. We left the bikes in the valley, and began the long climb to P’s house. P’s mother stepped nimbly ahead, while I stayed behind with P, who was no longer familiar with the path, nor accustomed to the climb. It was a steep, slippery, breathless climb, and we both lost our footing more than once. In the dark, the climb seemed endless – then the house suddenly appeared just a few steps above us. Yesterday’s full moon had risen over the mountains as we climbed, and the lights of the village were scattered like so many stars in the valley below. There was the rustle of bamboo, the call of cicadas, and the splash of water cascading down the face of the mountain. P’s mother insisted that I stay the night, and we both sat grinning inanely at one another over a simple meal of pork and rice. We’ve been grinning ever since. Thank you to everyone who worried about me and helped me. I’m very, very happy to come back to Vietnam and hope one day to see you all here.